zengirl2 was awarded the Basic Barnstar by warren for their work in this research note. 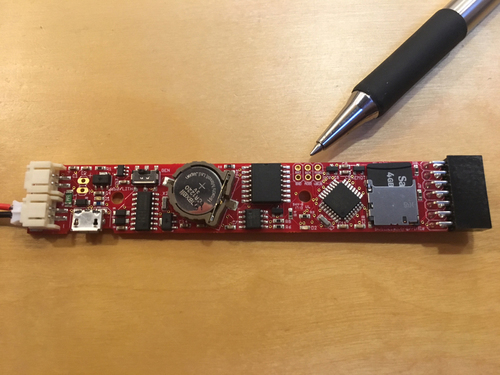 Perhaps you ordered a Riffle without Arduino installed, or maybe you uploaded some code that you thought was correct but ended up bricking your board. Either way you have the capability to load Arduino and get your Riffle ready for action. 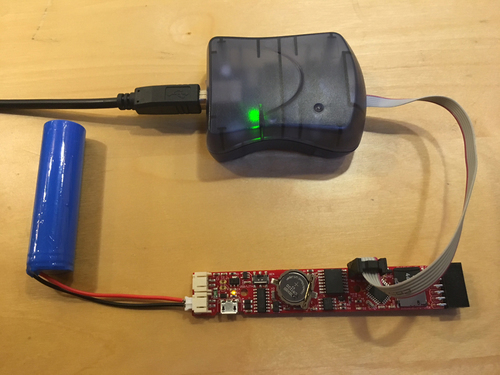 USB Tiny ISP Programmer (like this one) with its USB cable. Note that this resembles the old ATMEL programmers, but they are not the same! If you are unsure take the plastic box apart and check the board as these directions are only for the generic USB Tiny ISP style. 2. 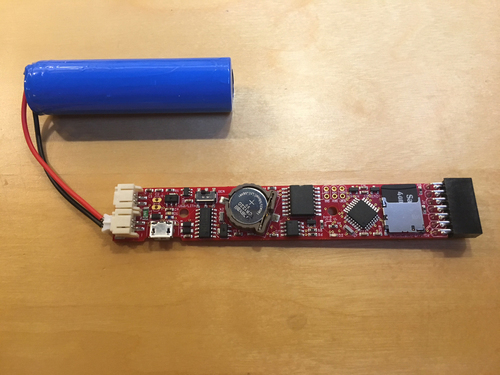 Plug battery into JST port marked Lithium 3.7V. 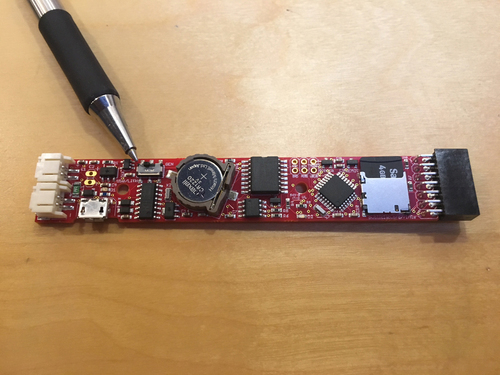 The board needs power to be programmed. 3. 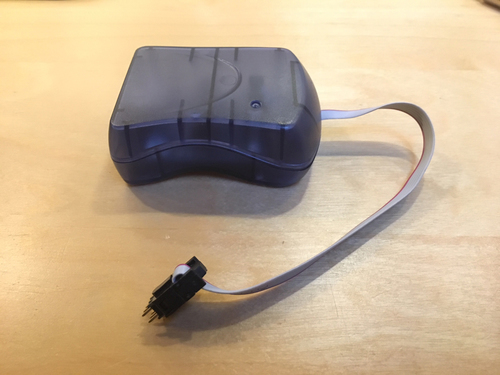 Plug the USB cable from the computer (not shown) into the programmer. An LED inside will glow green. 4. Now locate the six holes that the programmer's pins will need on your Riffle. 5. Take the programmer's cable and hold the pins so the red wire pin is oriented to go into the top right hole on the Riffle marked MISO. 6. Go ahead and plug the connector into the holes on the board. 7. 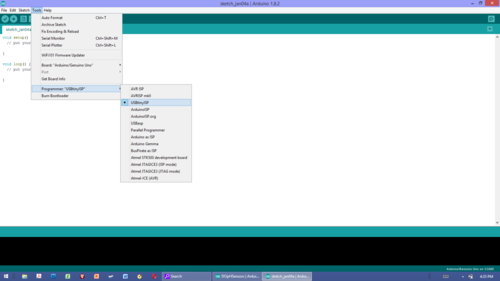 In the Arduino menu go to Tools -->Board and choose Arduino/Genuino. Then go to Tools --> Programmer: and choose USB Tiny ISP. 8. Now go to Tools --> Burn Bootloader. The Riffle should blink and in a few seconds Arduino will be loaded. 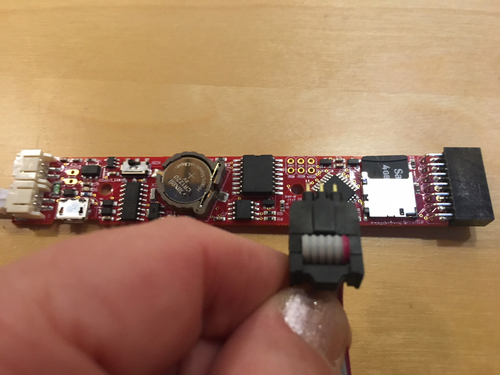 If you get any error reading, try holding the programmer's connector firmly into the board as it can be a bit unstable. 9. Try taking the Riffle for a test drive by loading the classic Blink program. Make sure the code is set for Pin 9 to activate Riffle's built-in LED. @warren awards a barnstar to Zengirl2 for their awesome contribution!